Dr. Libby Doggett, Deputy Secretary for Policy and Early Learning at the US Department of Education, visited Briya’s Georgia location on September 29. Sharon Darling, President and Founder of the National Center for Families Learning, and other senior advisors from the Department of Education were also in attendance. Dr. Doggett and the group toured Briya’s facilities and spent time observing adult education and early childhood classes. 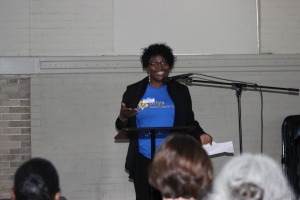 Briya leadership demonstrated the importance of integrated adult education and early childhood education. The federal officials were impressed and brainstormed new ways they will integrate support for family literacy in federal policy, regulations and initiatives in the future. Two Briya students, Anabel Cruz and Yizel Romero Octaviano, then spoke to the group about how Briya’s family literacy model has enabled them to understand how to help their children be successful in school. The group then asked further questions about Cruz’s and Octaviano’s experience and about how and why family literacy programs are effective. “We hope that this visit will lead to more opportunities to demonstrate the importance of family literacy at the national level,” said Christie McKay, Executive Director at Briya. Briya student Elisabeth Hando stepped up to advocate for herself and others during Adult Education and Family Literacy (AEFL) Week, September 22-26. Hando’s letter was selected for submission to the citywide AEFL Week essay contest, sponsored by the DC Adult and Family Literacy Coalition. Her letter won first place in the ESOL category. Hando was recognized for her outstanding essay at the AEFL week Big Tent Meeting on September 26, where she was awarded a Dell laptop and had a chance to address the audience. Hando explained how education allowed her to improve her English and gave her the confidence and skills to open her own daycare and start her own nonprofit organization, Renaissance Center for Culture and Education, which offers programs including mentoring, performance art and French language classes for children. In addition to winning the essay contest, Hando was part of a group of adult learners, including six other Briya students, who attended AEFL Advocacy Day at the Wilson Building on September 24. The group met with council-member Bowser to advocate for family literacy and adult education programs. 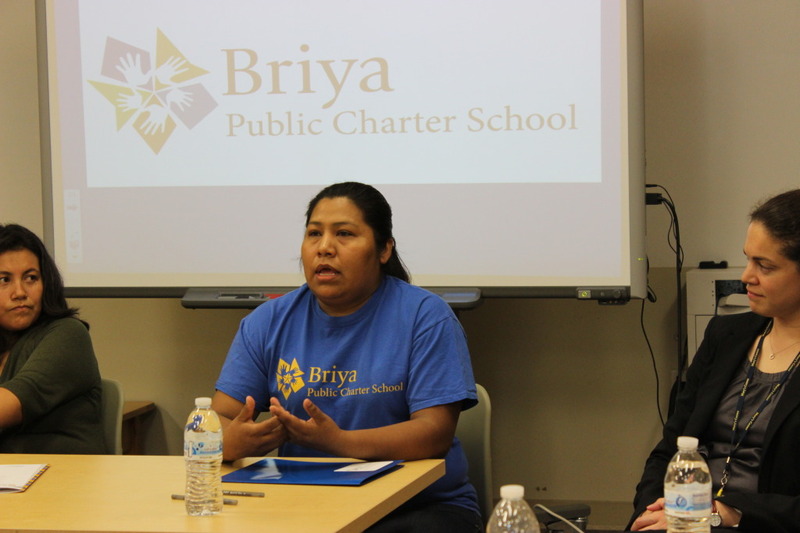 Hando spoke to Bowser, using her experience to demonstrate the importance of programs like Briya’s. “Adult education should be a priority because it has a lot of impact on our families,” Hando said.